I missed this one! 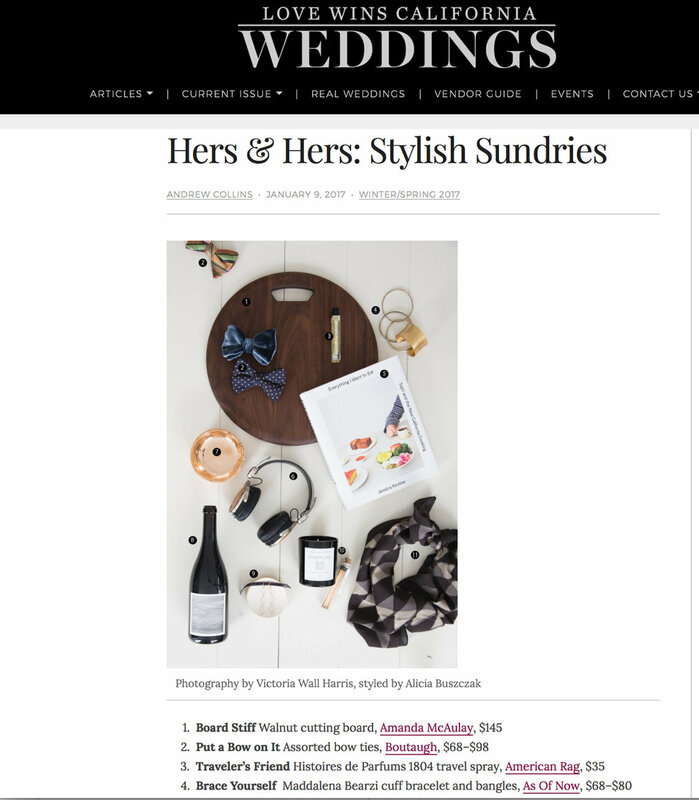 Back in January, my handmade "terra oro" cuffs and bracelets ended up in an article for Love Wins California (Wedding section) entitled "Hers & Hers: Stylish Sundries". Glad to be part of this elegant selection of wedding gifts. N. 4, under the title "Brace Yourself" is my handmade and one of a kind jewelry!